This striking wall hanging is part of my "Intersections" series. 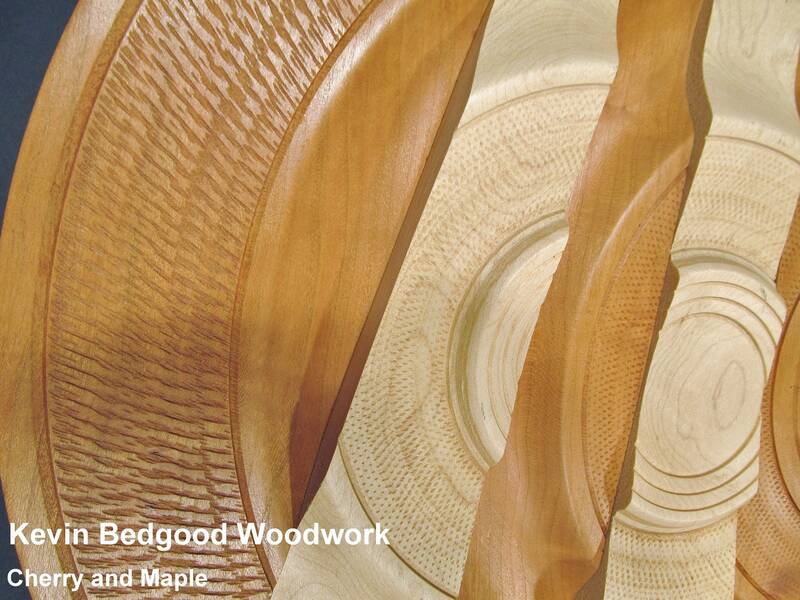 Developed with the idea of mixing contrasting woods into a cohesive piece of wall art. 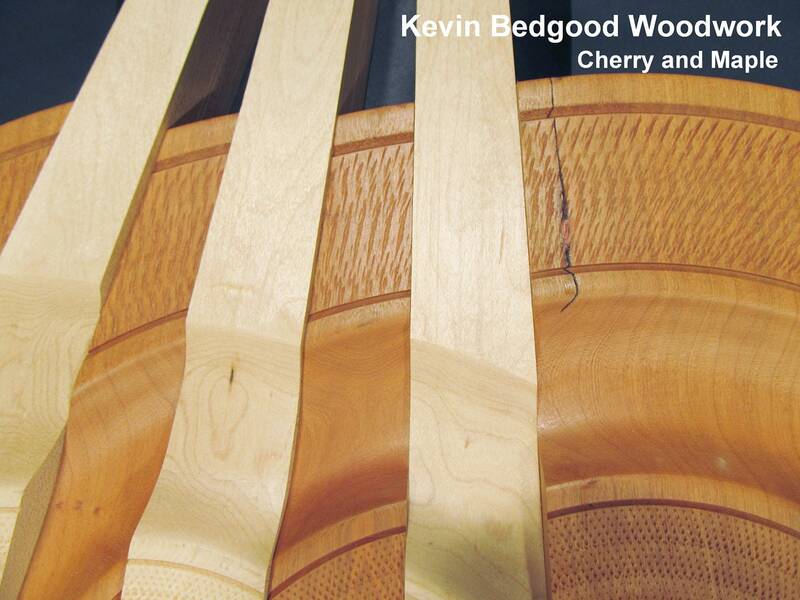 It is made from Cherry and Maple, both are recycled from local wood here in Pennsylvania. 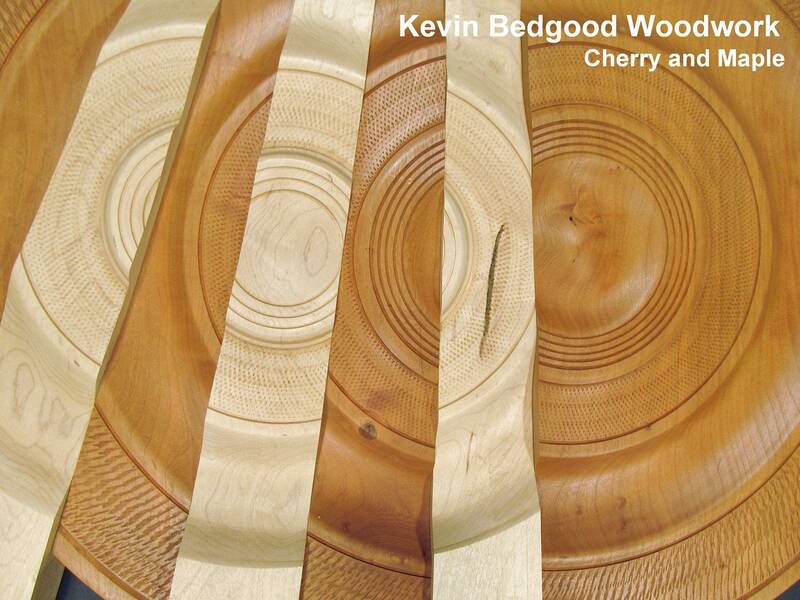 The maple and the Cherry of both lathe turned separately then cut into segments before using the longer maple pieces to "intersect" through the complete Cherry circle. It is the third in the series and is appropriately title "Intersections #3". This would look outstanding in your home, office or the lobby of your work. It is pre-hung with eye hooks and wire on the back. The final picture show the inscription placed on the side of the piece. 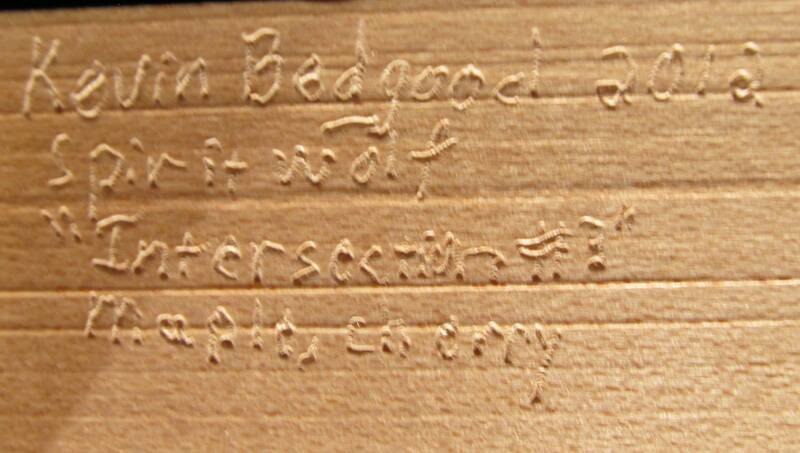 The same inscription is also repeated on the back. It has my name, the year it was created, the title of the piece and the word "Spiritwolf". Family legend has that this was a long ago ancestor's surname and is place on all my sculptural pieces as a way to pay homage to my ancestors. 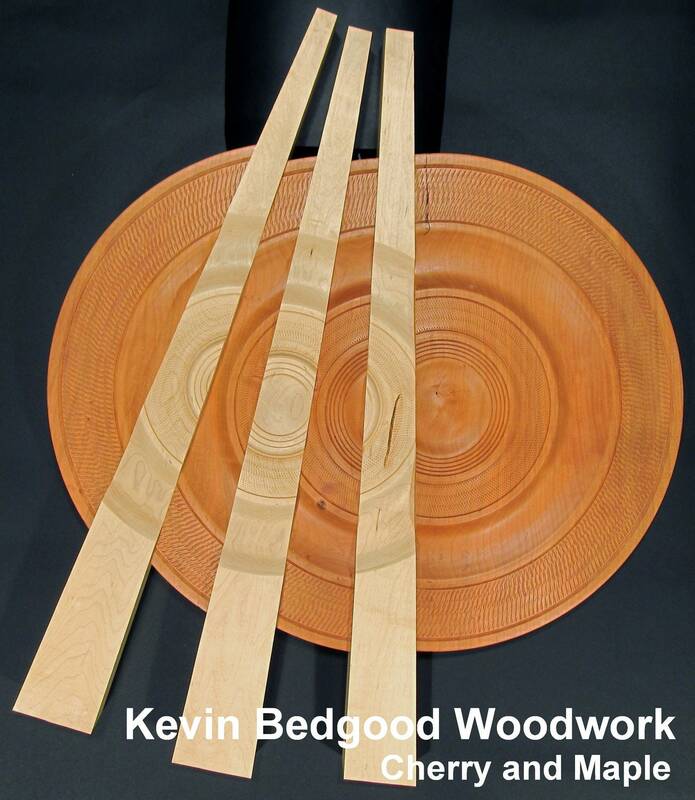 Size: 22 3/4" wide, 27 1/2" tall, 1 3/4" thick.